MELBOURNE, Australia -- Police in Australia have detained five suspects who were allegedly planning a series of Christmas Day bomb attacks in the heart of the country's second largest city, officials said Friday. The suspects had been inspired by the Islamic State group and planned attacks on Melbourne's Flinders Street train station, neighboring Federation Square and St. Paul's Cathedral, Victoria state Police Chief Commissioner Graham Ashton said. The arrests came after a truck smashed into a Christmas market in Berlin on Monday, killing 12 people. Two of seven people initially arrested in raids Thursday night and Friday morning in Melbourne - 26-year-old man and 20-year-old woman - were released without being charged, a police statement said. Five men between ages 21 and 26 remained in custody. 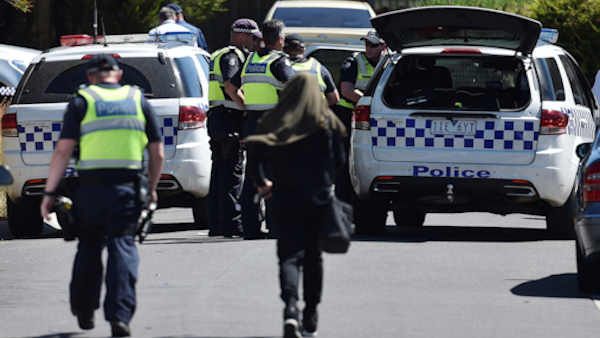 They were not identified but police said four were born in Australia and the fifth was Egyptian-born with Egyptian and Australian citizenship, police said. Police had been watching the alleged plotters for some time, and believed they were preparing to use explosives and other weapons, Ashton said. Police believed the threat had been neutralized through the raids Thursday night and Friday morning, he said. Ashton said police had gathered evidence in the raids that the plotters were planning to use explosives in their attack. "We gathered the makings of an improvised explosive device," Ashton said. He added: "Certainly (there was the) potential for quite a number of people to be injured or killed in this attack."